Thus it begins. Palm branches and cloaks are scattered on the ground for Jesus of Nazareth. He comes to Jerusalem with his twelve disciples. They are come to celebrate the Passover. The disciples do as Jesus commands. They prepare that upstairs room for the celebration of the Passover. There will be thirteen of them. Jesus and the twelve disciples. They share the meal together. The words that Jesus uses during the meal are new. But betrayal is old. Who have we betrayed? The disciples ask that same question. Which of us is the one who betrays Him? It is Judas Iscariot. His betrayal is done with a kiss. All this for thirty pieces of silver. Then follow the trials of Jesus. First, he was taken to the religious leaders: Annas, then to Caiaphas, the high priest. Finally he was bound over and sent to Pontius Pilate, the Roman governor of Judea. Against his better judgement, and the pleading of his wife, Pontious Pilate condemns Jesus to death by crucifixion. While on the Cross, Jesus Christ, is reported to have spoken seven times. They are reported in a variety of different places in scripture. Jesus’ lifeless body was lowered to the ground. Many have attempted to depict what the mother of Jesus felt at that time. But there was much to be done and time was limited. The Agnus Dei is part of the liturgy of the church, used during the celebration of Holy Communion which is also called the Eucharist. If you have gotten this far you have travelled from Passion or Palm Sunday, through the last week of Lent to Maundy Thursday, which is the night that the Last Supper is commemorated, and Good Friday, which is the day on which Christ was crucified. Now he laid in that tomb, provided by Joseph of Arimathaea, for two nights, Friday and Saturday. But strangely enough, when women came to the tomb on Sunday, the stone had been rolled away, and he was not there. Should you want to learn more, you can read about it here: The Gospel of John, chapter 20. Today, the second Sunday in Lent, the Gospel Lesson was St. Matthew 15:21-28. The Story of the Canaanite woman who sought healing for her daughter. Jesus answered that he was sent only to the lost sheep of Israel. But she knelt before him and said “Lord, help me.” He answered — that it was not right to take the children’s bread and throw it to the dogs — but she persisted. “Yes, Lord, yet even the dogs eat the crumbs that fall from their masters’ table.” Her faith was rewarded and her daughter was healed. She persisted and trusted despite all. There was no where else to turn. Once, many years ago, a dear friend told me that her children’s pet had died and they were extremely sad. Knowing that she was a devout Christian, I said that I would have told them that their pet had gone to live with Jesus and that one day they would be reunited with their furry friend. I was somewhat surprised when she looked at me in disbelief and said she couldn’t say it because it wasn’t true. I asked her why she thought it wasn’t true. 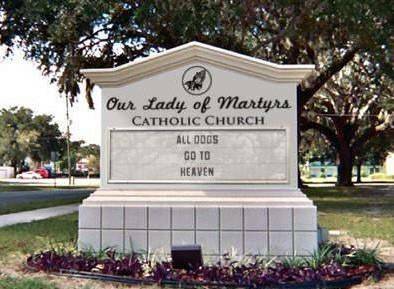 She answered that scripture doesn’t say anything about animals in heaven, only that Jesus came to save people, to give them new life. 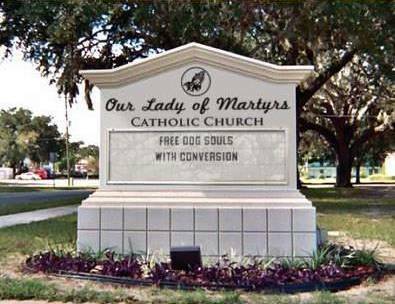 Some months ago a friend e-mailed me a slew of pictures of church signs, on opposite sides of the street. 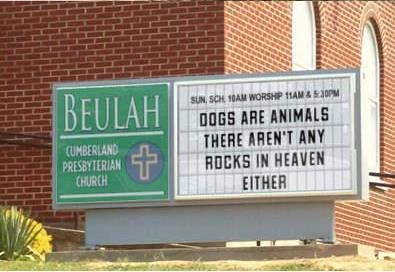 The churches were using those signs to engage in a friendly theological argument about whether there are dogs in heaven. I thought it was a lot of fun and forwarded the photos to some of my friends. 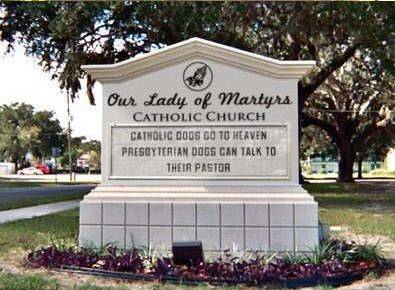 One friend e-mailed me this: “this is funny – but if our souls go to heaven – I don’t understand how dogs could go either. 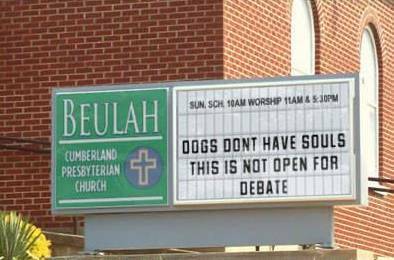 This is probably not a real debate.” I told her that I sided with the church which thought there would be animals in heaven. What I believe on this subject was informed, not by serious Biblical or Theological inquiry, but by a believer’s eyes observing life. I’ve always assumed that heaven would be something like earth, only better. In the creation stories of scripture it tells us that God created the heavens and the earth and declared that the creation was good. 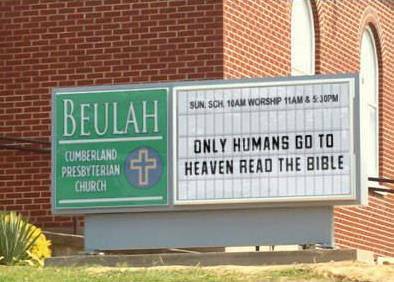 Long ago I taught a Bible Study course on Heaven to some college students and asked them what they thought happened to us after we die. One female college senior said that she thought we would become some sort of ghostly “life force” zooming through the air. I told her that I thought that was very interesting, but asked her what she made then of the words of the Apostles and Nicene Creeds, one of which we said at every worship service, that professed that we believe in the resurrection of the body. It stopped her dead in her tracks. She froze. She said “we do say that don’t we?” She said she never thought that it actually meant what it says it means. She was stunned. But, I digress. God declared that creation was good, and since in the book of Revelation, chapter 21 begins “And I saw a new heaven and a new earth” I assumed heaven would be something like the Garden of Eden, albeit without the snake! I’ve always thought that God would fill heaven with what creation suggests that He loves: flowers and mountains and trees and lakes and fish and birds and lilies and animals of every kind, size and shape. 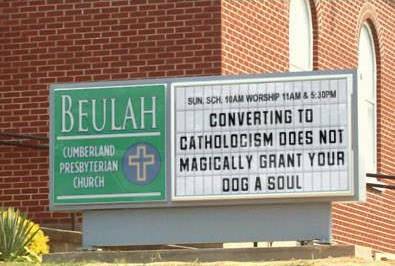 In much the way that we would be a continuity of ourselves, remade with the grace of God, then what we love would be recognizable to us including our pets. After the resurrection of Jesus he let Thomas feel his wounds. When Jesus appeared to Mary Magdalene, she recognized him first when she heard his voice. The God of creation has given many in creation quite remarkable gifts. What would it be if heaven had no music? It always seemed to me that the creator of the world would want to hear Handel’s Messiah, Chopin’s preludes . . . all manner of music and dance and song that sprang from the gifts of God given to his people. In the same way, I imagined that God would enjoy watching the animals of creation. I thought I would run my little personal ideas by a Roman Catholic theologian friend of mine who holds a PhD from a respected university. He said that scholasticism taught that of all creation, humans are the only creatures that have a rational soul and that therefore, only human souls are saved. Animals have animal souls and don’t need to be “saved” in the way that humans do. My friend went on to say that there is a whole tradition from St. Irenaeus on, that thought of heaven just the way I have written about it. As a return in Christ to the beginning, where we can have walks with God in the garden in the cool of the evening. For several years now we have been living in southern Arizona. From our back patio we can see cacti, mountain ranges, and the most amazing skies I have ever seen in my entire life. We wake up to see the morning sky with a glimpse of the moon and end our days with the evening sky bursting with spectacular sunsets that are alive with color. In the documentary film Expelled, Ben Stein reports what has happened to some scientists and professors of science, who have lost their jobs and/or tenure because they had the audacity to mention “intelligent design” in their writing. A bit of the baggage of political correctness that has infected science. It is a shame, as science, by its nature, has to follow leads wherever they lead. If certain conclusions or pathways are prohibited by political correctness then scientific study is thwarted. But I digress, yet again. I am a Christian. I believe in the Jewish and Christian scriptures: the Old and New Testaments of the Bible. I make no apologies for that. When I look at the world, I look with eyes of faith, and with those eyes, I see the hand of God all over the place. Think about the colorful birds in the rain forests, or the hundreds of species of dogs, or the weirdly designed animals like kangaroos. Think about the thousands of different kinds of plants and trees. Here in the desert we have scrubby looking, prickly, don’t-want-to-run-into-them cactus. But these same cactus have the most exquisite flowers. The colors of those flowers are sometimes breath-taking. All the ones that I have seen only last one day. Like manna from heaven. In the Narnia stories by C. S. Lewis, the lion Aslan has created talking animals. On earth animals don’t talk in ways that humans understand, but in Aslan’s world of Narnia, the animals talk. If God makes a New Heaven and a New Earth, I would not be at all surprised to find that C. S. Lewis was onto something. Not only would I be able to talk with Bach and hear him play his music; I could finally ask my long departed cat Otto, how he knew what time I would be coming home from high school. Day after day I would find him waiting for me by the mail box a block from home and we would finish the walk home together. In his life, though I pondered this, we couldn’t communicate those kinds of things. In God’s New Heaven, the New Jerusalem, perhaps the Lord will enhance creation so that the animals we have come to care about will be able to have conversations with us. Apparently, there are Christians who believe only what they can find proof-texts for in scripture. It may turn out that I am all washed up on this subject. I do believe that in heaven, as on earth, all that we need comes from God. It lightens my heart to learn, however, that Irenaeus, along with many who followed after him, believed that heaven would be populated by all manner of the loves of God. P.S. 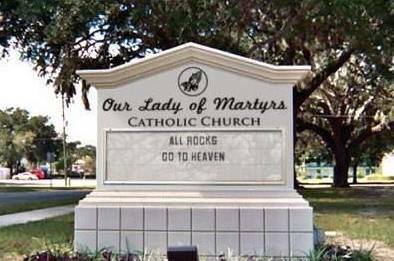 I also believe that there will be rocks in heaven! The other day a friend from our former church in Arizona posted this on Facebook: “Name one thing that you learned from your father.” As I regularly don’t follow directions, I wrote two things, but they were woefully inadequate. Then Saturday’s mail brought a beautiful note, accompanied by a gift to help repair some more of our broken furniture. Since most of that furniture had belonged to my parents, I was not surprised that the note was in honor of Dad’s birthday on March 5th. I cried when I read the card and saw the check – tears of thanksgiving for the help wrapped up in memories of the best father I could have had. My Dad’s father died in May of 1957; my Mom’s father died in June of 1957. Within six weeks our parents lost both of their fathers. As they did most years, they had already rented a house for a week in July of ‘57 at Lakeside, Ohio, on Lake Erie. It was a Methodist community but every summer there was a Lutheran week. There were speakers and events, swimming nearby at East Harbor, and lots of fun for the kids. Our cousins would go as well, and it was always a wonderful time. July of ‘57 was a healing time for my parents. Time to relax and get away and be with cousins. As my birth in April of 1958 would suggest, I happily surmise that I was part of that healing process. My grandfathers never knew that a little one was forecast. I always wanted my Dad to live to see my children – as I was the baby after three boys, he knew all his other grandchildren – but I hoped and prayed he would live to see mine. My Dad lived a few months past his 78th birthday. As my parents lived in Ohio and I lived in South Carolina, I am forever grateful that God granted my Dad the gift of seeing my only daughter, not once but five times during the last year of his life. 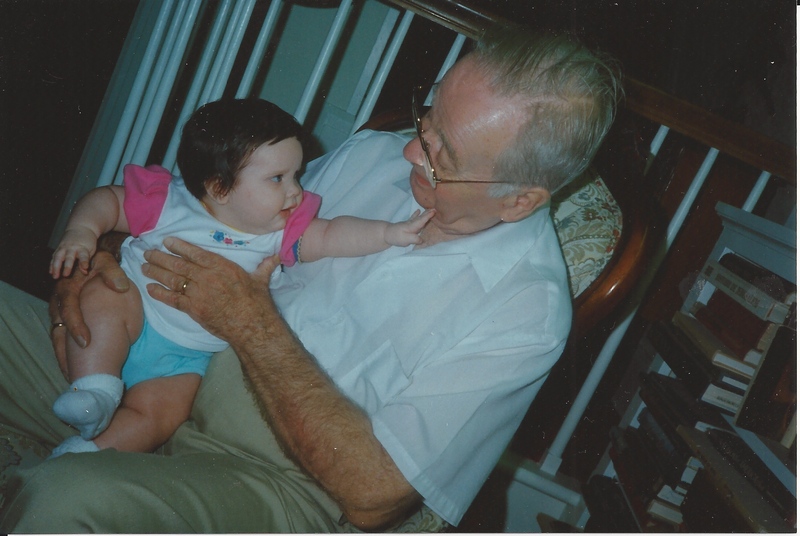 He loved seeing all of his grandchildren, and that included his littlest. My Dad’s doc wanted him to keep track of his blood pressure for a while, and my Mom always noted that it was better when little Katie was around. Dad wrote a letter to my husband and me urging us to keep up the good work! He humorously noted how well we had done producing our first child and urged us to continue to produce many more amazing children. Although we would have loved such a family, it was not to be. Grief is weird – it changes over time but it doesn’t go away. When you love someone, they stay in your thoughts. Tuesday, March 5th, would have been my Dad’s 103rd birthday. Rarely does a day go by that I don’t think of my mom & dad and their incredible love for each other. I learned a gazillion things from my Dad – most importantly that his love for our mom came before his love for anyone else including his children. He taught me that you could be a better parent if you nurture your marriage and keep that love strong. He loved going on adventures with my mom, and they often took off for a weekend in the hills of Ohio — or perhaps to Amish country. Did I mention he had a weakness for pie? Dad was a lover of critters and particularly birds and developed a daily routine of feeding them, eventually feeding the squirrels as well, so that they would leave the bird feed alone. I can remember the thousands of little bird footprints in the snow in our back yard around the bird feeder. He was an avid reader of books, a collector of antiques and particularly antique tools, he loved working in the basement workshop and routinely inciting our mom to riot when he forgot to change out of his business suit & tie before going to the basement to work on a little project. When I was a little girl, he and mom sometimes took turns packing me off to bed, and when he was in charge, he always used the time to talk with me about my day and teach me the ten commandments and pray with me before I went off to sleep. He also taught me how to tie and fly a kite, how to use a wood lathe, how to pick appropriate hardware for a repair job or to hang a picture, and the joy of having theological or political discuss ions. 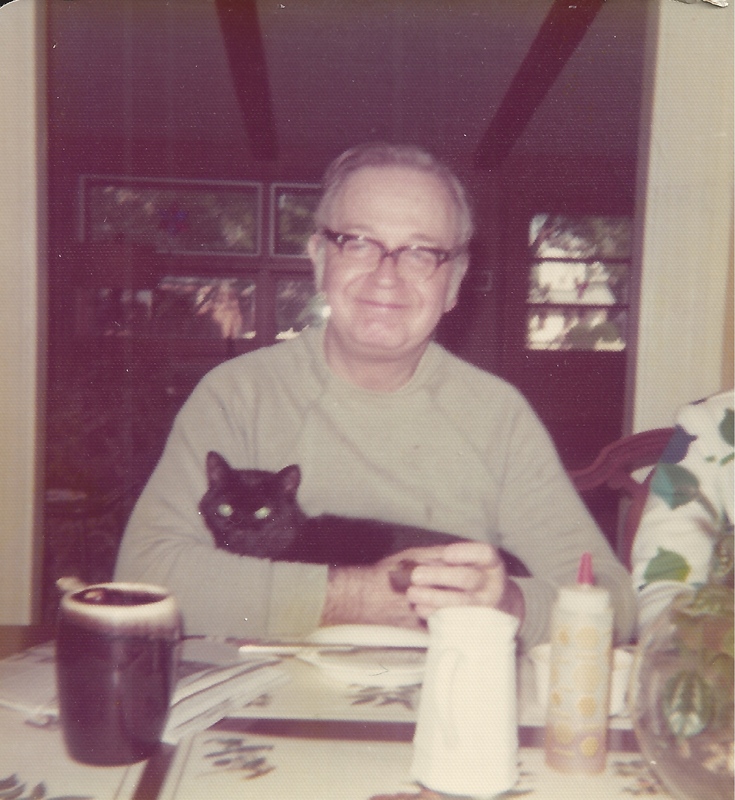 He loved to read and would regularly demonstrate how to read a book or the evening paper stretched out on the living room couch with our cat Otto on his chest. He was also willing to have cat company while eating his breakfast. He loved to work in the garden and fostered in me a love of roses, of the first flower of each year – the crocus that would come up through the snow, of wildflowers like bleeding heart, jack-in-the-pulpit, bloodroot, trillium, and of how to pick lily-of-the-valley to take to my Mom. I still love the smell of the lily-of-the-valley and adore the sight of big bunches of roses in vases in the house. I am so glad that my husband Ron loves to garden and is working on clearing beds to plant in our new back yard. Our Dad was a lawyer, and occasionally he would have to take papers to someone’s house to sign. When that someone was a widow or single woman, my mom would usually go with him. On a couple of occasions, when my mom was otherwise occupied, he would ask me to ride along with him. I did this a few times over the years – a little person whose quiet little presence was a help to put others at ease. A staunch Lutheran, Dad had back surgery at one point for excruciating pain which was caused by a pinched nerve. One of his clients told him that her whole African Methodist Episcopal Zion congregation was praying for his recovery. At the mortuary, after he died, a black lady introduced herself to us and said that her common-law husband had left her years before and she was without means to keep her house. She told us that our Dad, who was her lawyer, had paid her mortgage for some months until she could find a better job allowing her to keep her home. We were blown away – we had no idea that had happened. Not everyone is blessed with a man of character as a father. 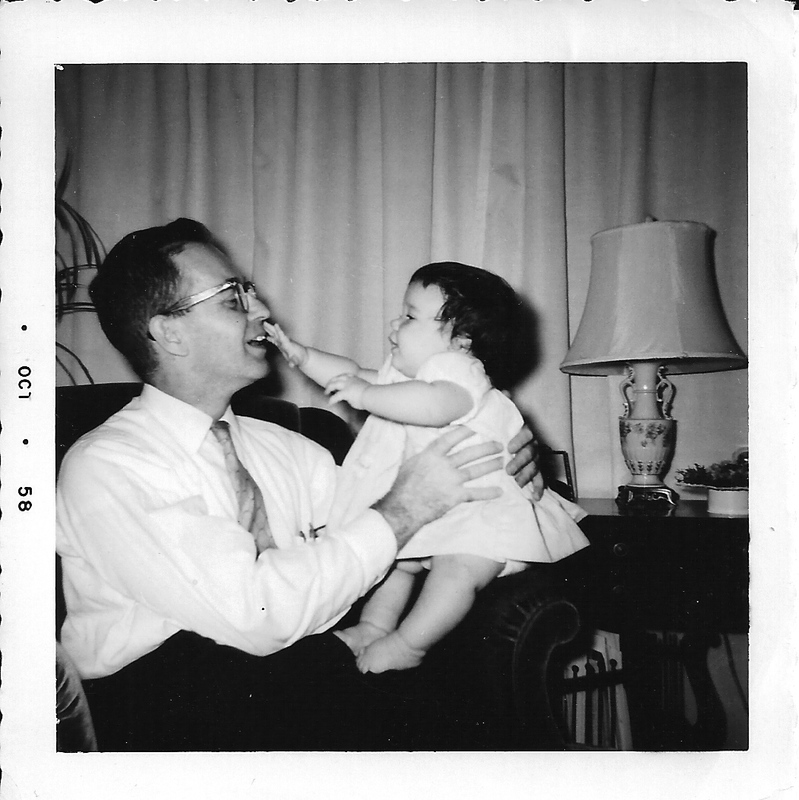 I was blessed doubly because my Dad was also something of a character. I had such fun with my Dad who was the best Dad this girl could have had. He left me with thousands of good memories including his love of picnics; childhood bike rides often followed by a visit to the local Root Beer stand; a vacation (just the two of us) in Europe following a job I had in Switzerland interrupting my college years. In honor of what would have been his 103rd birthday I give thanks for this amazing man. Deo Gracias. But how do you keep gratitude in your life when the troubles mount, the money shrinks, and worries, hurt, anger, and disappointment color your days? For us, it has required just one thing — a decision. We had to decide to be grateful. It means getting off autopilot and looking around. The odd thing, when you stop to look for reasons to be grateful, is an embarrassment of riches. 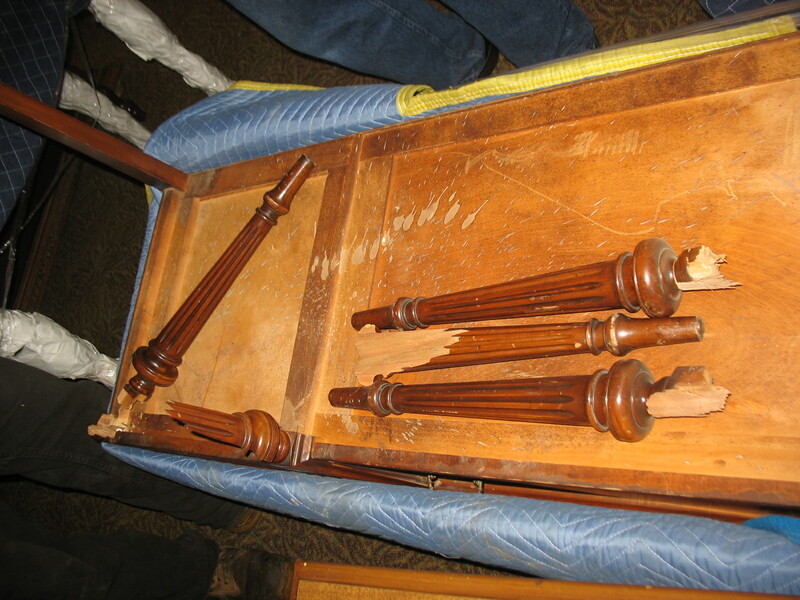 Little things like noticing the piece of glass on the carpet before you stepped on it or something more significant like another reader shared my blog post on Facebook, and the unexpected donations will allow us to repair another piece of furniture. Thursday marks my husband’s and my tenth anniversary. I am grateful that he delights in me, laughs with me, prays with me, and gets into mischief with me. Tomorrow we may brave the winter chill to celebrate our anniversary at one of the fantastic eateries about which our new town can justly brag. But for today I give thanks to family and friends, readers and those who have left notes on my last blog post or who shared it. I am also glad to have touched base with Philip, a long time friend of mine, to ask permission to use a photo from his website. 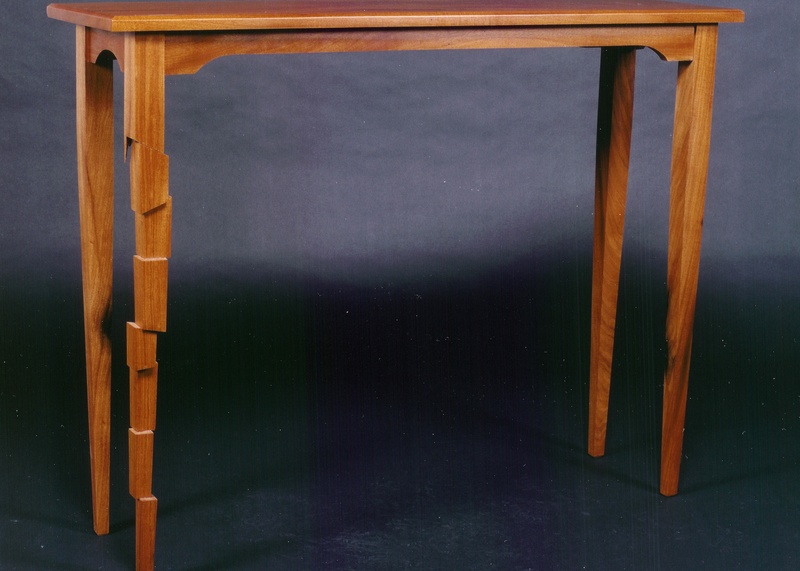 You can view his whole site at https://philiphultgren.com/ The table below springs to mind as a much jollier version of our furniture. Philip calls this The Questionable Leg Table. Today I am also delighted to have a new friend, introduced to me by my daughter. Thanks be to God! There is indeed much for which to be grateful! We are too old for this. Perhaps it is punishment for our sins. Maybe it is just the jest of the devil to make us curse our lot. It might be intended as a little entertainment, so others will sit up and notice and appreciate that their lives are sailing more smoothly these days. My husband and I have moved to Ohio from Arizona. The September day when our house was sold, and we got into the car to drive to Ohio, the temperature in our southern Arizona town was 110 degrees. Now I am at the computer at two in the morning in an unheated room in our house. (My computer is in what may have been the original pantry in our 1855 house; the baseboard heater makes noise but won’t heat). The temperature outside is in the teens, and there is still snow on our car because we bought a house with no garage and we were blessed with some of the gifts of winter storm Gia. I have barely looked at or thought of my blog in the last five months. I assure you that there was no personal slight intended for my kind readers. We have just had our hands full. Every day since October 10 we have been dealing with the results of a move that caused catastrophic damage to our possessions. As you may know, my husband, 18 years my senior, made the call to move us closer to my family. His father was told by his Wilmington, Delaware doctor that he needed to get to a warmer climate if he wanted to be able to move without constant pain. His dad moved his young family to Arizona where my husband has lived most of his life. We should have remembered that bit of history. My husband is now in nearly constant pain from arthritis in his back and has started going to the hospital for physical therapy twice a week to learn exercises to help him cope with the pain. Please don’t offer advice to us. Say a prayer for us. We believe that our moving van may have rolled over at some point on the move. 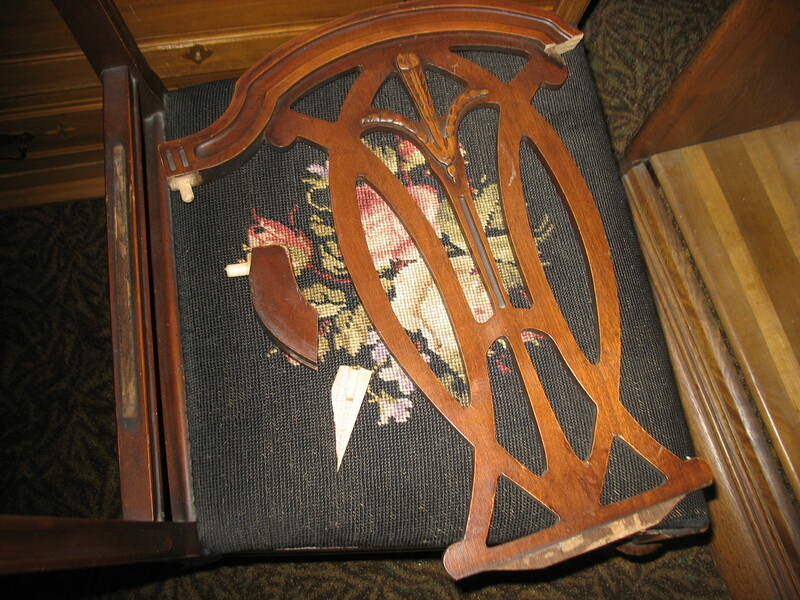 We have dozens and dozens of pieces of damaged furniture, broken china, damaged belongings. We filed a claim with the mover, but according to the United States Post Office, they attempted delivery on two successive days and sent us different reports about how each of those attempts failed. Please don’t offer advice to us. Say a prayer for us. We are without a church home, or rather, our home congregation is in Arizona and given the exhausting work of every day we have not yet found a new church home. We have been given a variety of advice on this particular subject. I have been gently reminded that my parents didn’t bring me up this way. Please don’t offer advice to us. Say a prayer for us. Much of the well-meaning and kindly intended advice we have been given has added, not subtracted from the burden of these days. We know it is offered to help us. We know that we are loved and supported. Still, we kindly beg the advice givers to cease and desist. Instead, we ask that you offer your prayers for us. Seriously. Please. If you aren’t praying people, just think kindly of us. If you can be persuaded, please consider leaving a dollar or two by following my donate button over on the top right column. That would be a great help. On the positive side, we have located a company who repairs antique furniture, and they have given us a quote for fixing ours, all of which they have told us is repairable. While we continue to pursue payment from our movers, we have approached the company regarding repairing our furniture piecemeal as we are able to pay. Our pastor quipped, at a little reception held after church for three of us that were moving out of state, that perhaps our lovely 1855 home might be The Money Pit. Such a wise man. We have had lovely Christmas cards and notes from friends and family near and far. These have been a delightful distraction and have caused us to imitate the great Duke Ellington who sent Christmas cards out all year long, even in the dog days of summer. We wrote our first two Christmas cards last night after dinner. Thank you for checking in and reading this long overdue post. Thank you in advance for sharing it, for remembering us in your prayers, and for your kind words and good wishes. We have chosen to do our best to be of good cheer, to give thanks, to keep on keeping on, to love each other, and to remember that despite all, we are in good hands. Now Ron and I are wanderers again. 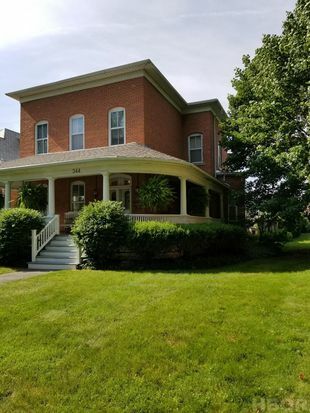 In September 2018 we sold our 2006 Arizona house and bought an old 1855 Victorian era home in Ohio. Our church home is still in Tuscon, Arizona and the commute is a wee tad prohibitive. We are busy trying to tame our new old house as we continue unpacking boxes, hanging pictures, figuring where to set up studio space (BTW, yes, Leslie, I found the stones needed to fix your bracelet), get estimates for work to be done, and so on. Some of our friends seem to be wondering if we have fallen off the planet. Perhaps it is telling that I ordered our 2018 Christmas cards two days ago. Sure would appreciate some random blog surfers, friends, family, anyone who would be willing to cheer me on. No one who doesn’t need cheering would be writing this stuff at this hour. Seriously folks. On June 18th, I wrote a post called The Mixed Blessing of our Last Home. That seems like ages ago. Now we are a month away from closing on our new home, and we are eager to do that. We will miss our Sonoran Desert sunsets, and the nearness of the mountain ranges that surround Tucson, but we are happy that we have buyers who seem to see the goodness in this Arizona home and we are ready to step aside and let them create what they want in this spot. Soon they will live in this home and make it theirs. Soon Ron and I will take off on our new adventure. Our move will be striking. We will be driving from Arizona to Ohio. We are moving away from a pleasant modern house, built in 2006 in a community of similar homes, to an 1855 Victorian lady in a small town just a few miles from the eldest of my three brothers. I am excited to be near my family again, and I am excited to have a house with a wrap around front porch and a formal dining room! My husband has visited my family in Ohio, and when he was a little boy, he and his mother rode the train between Tucson and Delaware several times across the northern part of Ohio. I haven’t lived in Ohio since the summer of 1982, and I haven’t lived in a place with a noticeable winter since the early months of 1988. We have had a lot of fun talking about the Ohio adventure that is our last house. Ron loves to garden, and we have had long talks about what we want to plant in the front and back yards. We have talked of planting roses, tulips, crocus, and some of the wildflowers that my Dad loved: Bloodroot, Lily-of-the-valley, Jack-in-the-pulpit, Solomon’s Seal; and then more roses, tulips, and crocus. 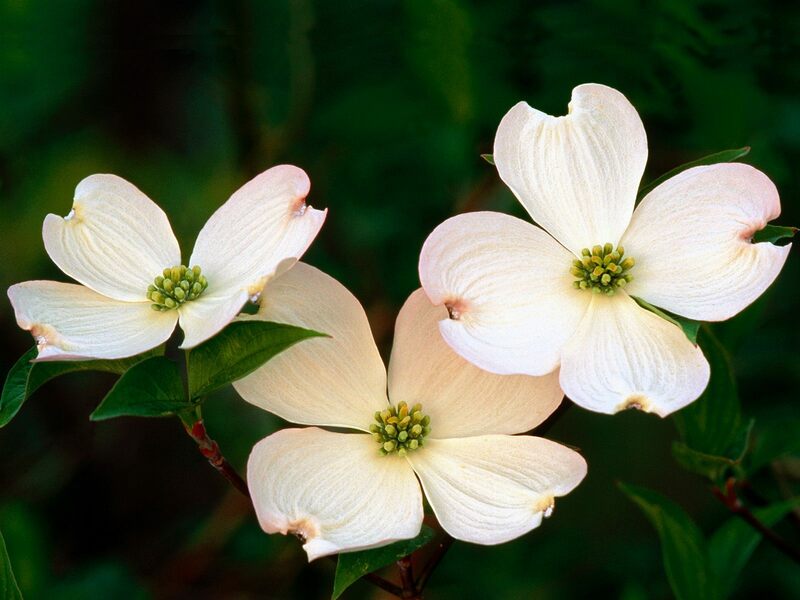 We have talked about trees we might like to plant, like the white Dogwood that was in our front yard when I was growing up and, perhaps, to remind me of my 24 years in Columbia, South Carolina, even a Magnolia. We are leaving our Arizona small town, ten miles southeast of Tucson, which has required us to drive up to Tucson every time we want to buy groceries, go to the bank, church, or library. We are moving to a small town where many of those things are less than a half mile walk from our new home. This will be a culture shock – albeit a culture shock that we are excited to embrace! We are looking forward to inviting family and friends to visit us; in fact, we have already issued quite a few advance invitations. I look forward to getting reacquainted with old school chums and friends with whom I used to work while making new friends as we learn more about our new town. To make up for the amount of packing and bone-tired-weariness we have lived through in preparation for this move, we have promised each other that we will unpack at whatever still-life-leisurely pace we choose. In addition to the jewelry studio, we are carving out a dedicated space for Ron to paint. In Arizona, when he wanted to paint, he took over the kitchen. In Ohio, we will have plenty of space. There already exists a regular workshop space in the basement which we may just use as a fix-it workshop, and in the remaining space, I plan to create a dedicated sewing area where projects don’t need to be put away before anyone can start to make dinner. I used to have fun creating items for my SC houses – valances, curtains, cushions. With our 1855 Victorian I am sure there will be such projects again! I think I mentioned earlier that this move was Ron’s idea. He got the idea that it might be good to move closer to my family. I can’t tell you how thankful I am that he thought to do this! To celebrate, Ron & I plan on getting into mischief, enjoying our new town, exploring some favorite old haunts of mine and discovering new ones of ours. I look forward to taking Ron to see some of my favorite places. 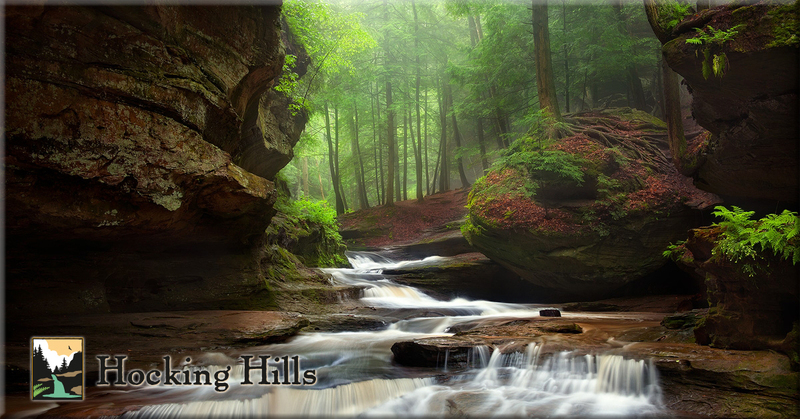 I think of Hocking Hills, Amish country which was always a favorite of my Dad’s (truth told, he loved the interesting old-time hardware stores and the restaurants with a fantastic choice of freshly made pies), Lake Hope, Lakeside, Dover and New Philadelphia. We both look forward to luring our friends & family from near and far away to visit us in our last and best home. To be honest, there were times I doubted this move would ever come to fruition. We had such a short window of time to find a buyer before we would lose the house in Ohio. But friends and family joined their prayers and hopes with ours, and this dream is finally coming to fruition. I told friends on Facebook that we might need a miracle and it seems a miracle is what we are getting. We sure have had a bundle of folks praying for us. I haven’t written too much of late. I’ve had little time to do anything that isn’t related to our house showing, moving, selling or buying. It may be that time for writing will be scarce in the weeks to come as well. But I hope that you will stay with us, follow my blog, and give me your thoughts on our move or on our best, last home. What flowers would you plant to adorn a Victorian lady like this? Do you believe in naming homes and if so, do you have a suggestion for this home? 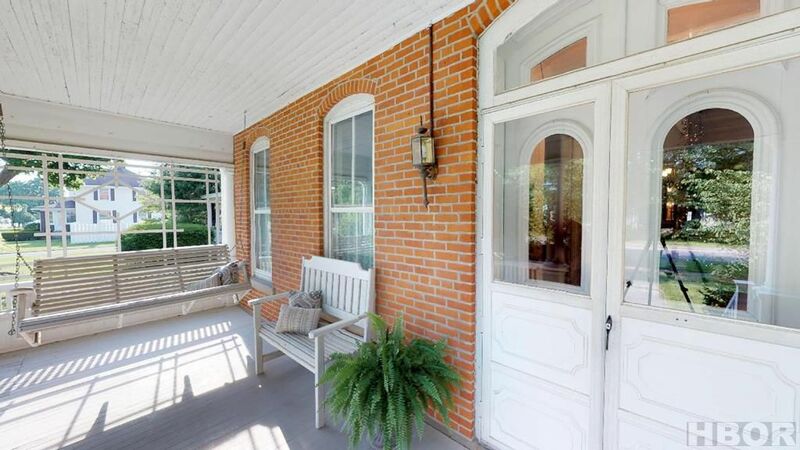 Do you have thoughts regarding our studio spaces or that incredible wrap-around porch?